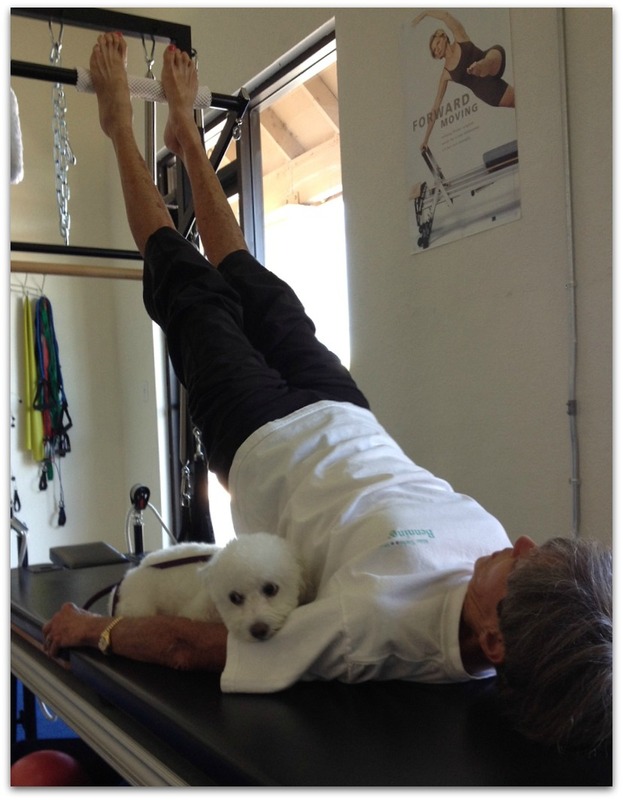 Pilates and Animals: Unleash your Inner Animal! One of Joseph Pilates’ insights about the human body had to do with Pilates and animals. When animals move, they use their entire bodies. “Do you ever hear of animals gratifying their desire or need for artificial exercising at a gymnasium?” Joseph Pilates asked in his book, Your Health. When I read this I imagined my cat Pumpkin saying, “Of course not! How boring! See Pilates Cat Stretch by going here. As a child, Pilates was a keen observer of animals and his observations about the ways they moved are the basis of the Pilates Method, and its goal of a balanced body. He incorporated animals’ stretching, graceful and playful movements into Pilates, and we can see this in the names of exercises like the Elephant, Cat, Monkey and Seal by clicking your heels (as shown below). When Pilates observed animals in nature he realized that they instinctively knew the right way to move and breath to protect themselves from injury. What he observed was that they breathe the exact opposite of humans. They inhale when extending their spine and exhale as they bend their spine. This is the way we teach breathing with Pilates today. A present-day believer in the connection between Pilates and animals movements is Catherine Isaacson, who works at Centre Pilates in Newton, PA. Isaacson’s dog Kessako shows Pilates students that there’s much to be learned about body control by observing animals. The 12-year-old Akita is remarkably fit in both mind and body. He participates in classes at Isaccson’s studio and even appears on some of her DVDs because, as she says, “he embodies all the principles of Pilates: centering, alignment, concentration, total control of his body, precise movement, optimal breathing and flow and rhythm of the body. Both Pilates and Animals help keep us centered so we can practice our Pilates with rhythm and flow. 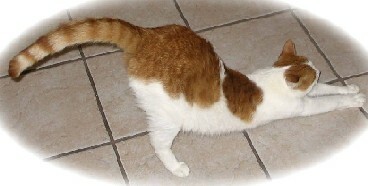 Just look how well Clare can do her Pilates long spine while fluffy Molly keeps her centered and stabilized. 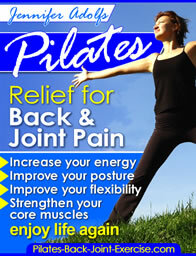 Learn all about Pilates and animals moves in the Pilates DVD for Healthy back and Joints. Through Pilates and animals, Isaacson believes people can learn animal-like control of mind and body. Joseph Pilates also focused on harmful habits of posture and movement learned in childhood, often from well-intentioned parents who inadvertently passed on their own misuse patterns. In contrast, for animals in the wild, good body use is imperative for survival and so there aren’t likely to be many poor examples around for young animals to mimic. And domestic animals set a pretty good example for their kitties and pups as well.